China has claimed ownership of Taiwan — known as the Republic of China (ROC) — since 1949 and objects to stops by Taiwanese leaders on US soil, as Beijing views the move as one more step in obtaining formal recognition of ROC independence. 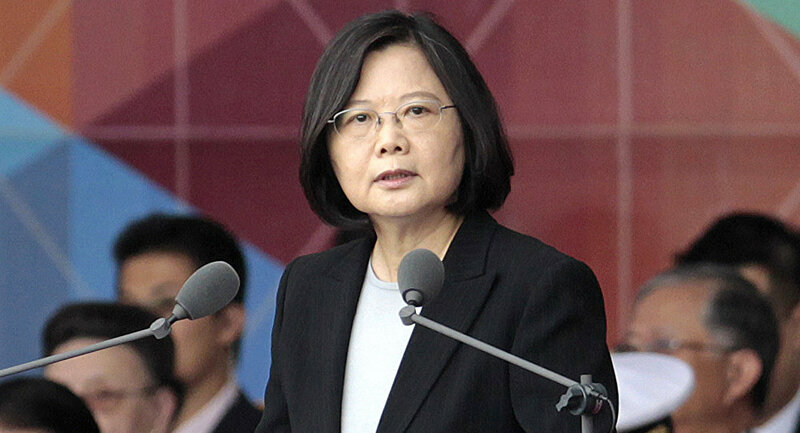 According to Tsai, Taiwan's democracy and security can nonetheless be safeguarded while still maintaining an amicable relationship with Beijing. This week, the US State Department noted that Tsai's transit of American soil is ‘private' and based on US "unofficial relations to Taiwan," also noting that there is no change to the "US one-China policy," which continues to assert that the ROC is owned by Beijing. While on US territory, Tsai reportedly visited the USS Arizona Memorial, built over the remains of the Pearl Harbor-based battleship that was sunk during the December 7, 1941, attack, Reuters reported. US President Donald Trump is scheduled to visit mainland China in less than two weeks. He caused consternation in Beijing in January after taking a congratulatory phone call from Tsai following his victory. This is Tsai's second US trip this year. In January, she stopped by Houston and San Francisco on her way to and from Latin America. Both trips were strongly condemned by Beijing. In 2015, the previous administration authorized the sale of some $2 billion of military assets to the island country just 110 miles off the mainland Chinese coast, including US Navy frigates, anti-tank missiles, amphibious assault vehicles, and surface-to-air missiles.